In her highly praised The Six Wives of Henry VIII and its sequel, Children of England, Alison Weir examined the private lives of the early Tudor kings and queens, and chronicled the childhood and youth of one of England's most successful monarchs, Elizabeth I. This book begins as the young Elizabeth ascends the throne in the wake of her sister Mary's disastrous reign. Elizabeth is portrayed as both a woman and a queen, an extraordinary phenomenon in a patriarchal age. 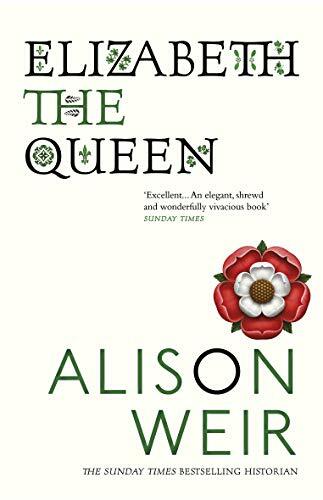 Alison Weir writes of Elizabeth's intriguing, long-standing affair with Robert Dudley, Earl of Leicester, of her dealings - sometimes comical, sometimes poignant - with her many suitors, of her rivalry with Mary, Queen of Scots, and of her bizarre relationship with the Earl of Essex, thirty years her junior. Rich in detail, vivid and colourful, this book comes as close as we shall ever get to knowing what Elizabeth I was like as a person.